Oh man! 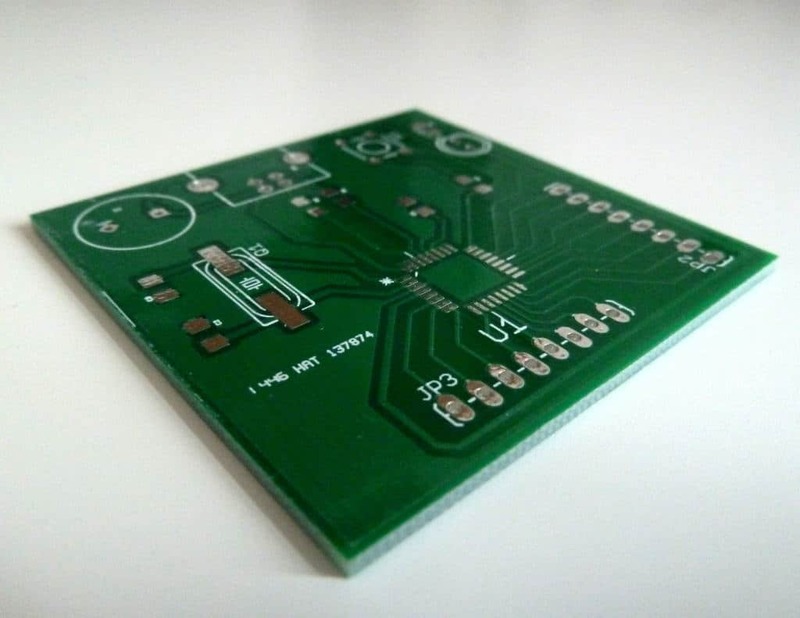 When I made my first printed circuit board, I was so thrilled! It was extremely satisfying to be able to touch my own circuit board design. And today it’s time you learn it too. And the truth is that the process isn’t that hard. There are just a few steps you need to go through. And anyone can do it – even if you have no experience from before. Would you like to make your own cell phone? Or computer? Or robot? Or flying saucer? Well, then you would want to make a printed circuit board. So you see, a printed circuit board is really fun! A printed circuit board is made out of a special glass-reinforced epoxy laminate material. And usually, it is green. But it can come in other colours too. On the board, there are components. Well, at first there are no components. But you solder the components onto the board. THEN there are components on the board. When you see the board in the picture above, do you believe that you can do the same? Many people would answer “no”. So would I a few years ago. It seemed like a really complex task.. But is it really? The first step is to make the schematics. You can either find a schematic diagram that someone else has designed, or you can create your own from scratch. Usually you start with a drawing of the circuit. 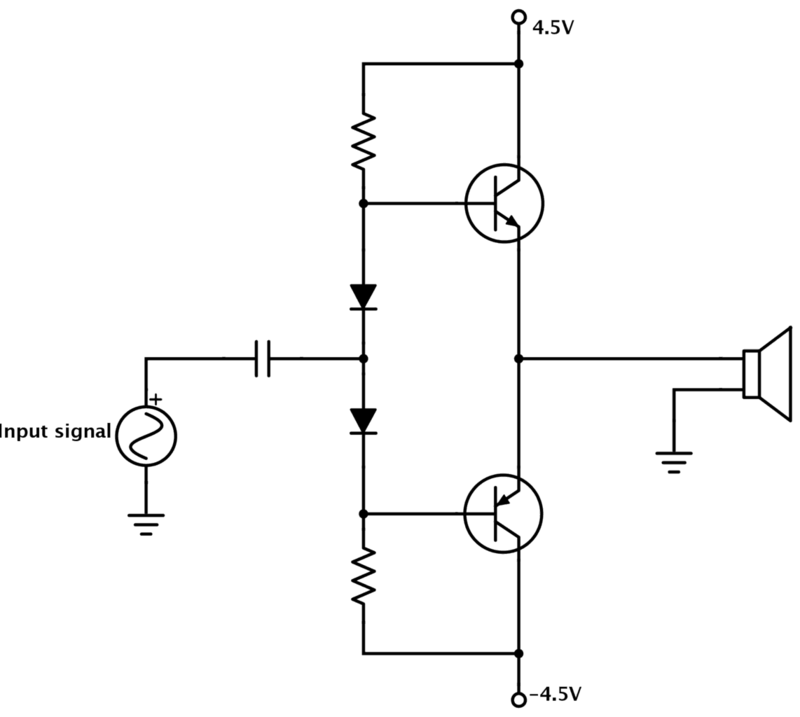 Then you have to draw this circuit into a design tool, such as Cadsoft Eagle. So, you have your schematics drawn in your design tool. Now you need to draw the circuit board. You need to draw the wires that connect the different components. This is kind of like the “connect-the-dots” game you might have played when you were a kid. When you drew the circuit diagram in the previous step, you told the program which components are going to be connected. Now you connect everything by drawing lines, and the program will tell you if you did it correctly. With the board design finished, you are ready to get your board made. This can be done in a few different ways. You can etch a board at home. The advantage with this is that you get your board made right away. The drawbacks are that you need to buy all this different chemicals and equipment. It takes time to place vias, and the precision is not that good. You can get a board made by a CNC router. This also has the advantage that you get the board made right away. But such a CNC router is often expensive. And you still need to place vias manually. The most simple and best way – at least in my opinion – is to get your printed circuit board made by a manufacturer. This is not hard and not expensive. You can get a board for as low as $1 per board! How To Learn This Stuff Quickly? Anyone can do these steps. As long as you know how to do them. One way to learn it, is by browsing around my site. I have written lots of articles on creating a printed circuit board. 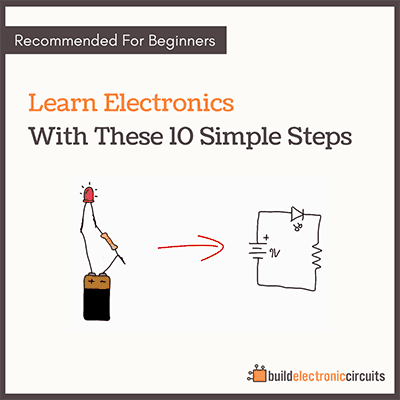 For those who are a bit more un-patience – I have created a video training called «Building Advanced Hobby Circuits» that teaches this process step-by-step. 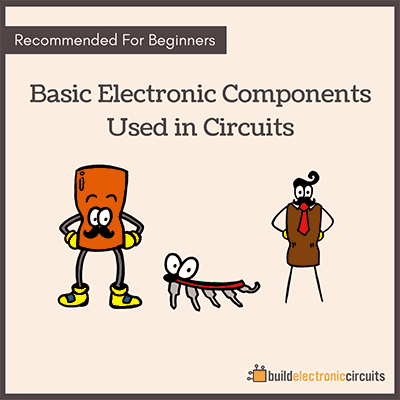 In the training, you will see exactly how I design a circuit board from scratch. Not only designing the board layout, but also how I order prototypes for $1 per board online in just a few minutes. thanks for your concine to improved the world of electronics. Hi, I’m sorry to hear that. Unfortunately I have no control over the payment solution. It’s a third party service. I AM STUDENT AND ALL I WANT TO KNOW IS , IS IT REALLY POSSIBLE TO MAKE A SMALL HANDY MOBILE PHONE AT OUR OWN TABLE ?????????? AND IF POSSIBLE JUST TEACH ME THE STEP’S OR GIVE ME A SPARK TO IGNITE …………………….. SIR !!!! WAITING FOR YOUR REPLY !!!!!!!!!!!!!!! i am again here to get some knowlegde !!!!!!! sir , what is the best programming language to program a robot !!!!!! is it easy to operate robot from pc using usb connection with that language !!!!!!!! waiting for your reply !!!!!!!!! haii..sir..actually i’am very interested in this particular field of making our own electronic gadgets..and robots but how i have to start my interest to be work. 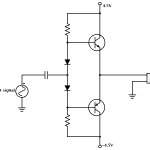 I want to learn to build electronic circuits effectively.Can i do this ???? 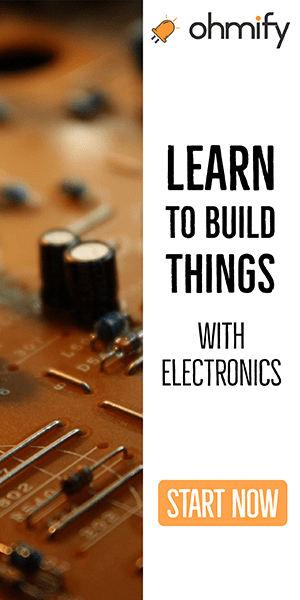 I have always wanted to build some kind of electronic device from scratch. However, I thought that it took a lot more to make a circuit board. Thanks for the links for designing/creating circuit boards. 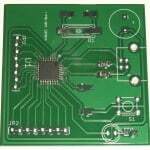 Is there a way to simulate my PCB.. I bit new into this field, but I have done some LT- Spice and there you can simulate your design to observe the behavior of the circuit. So is there something similar that can be done with the PCB designs ? 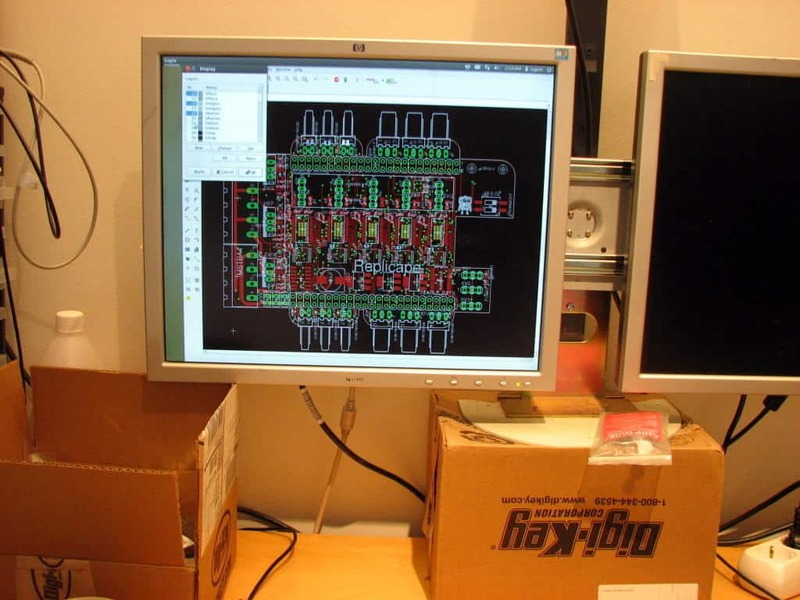 Your PCB should be the same as your schematic, so in that sense you can test it in Spice. Or are you talking about RF and heat simulations? In that case, I don’t have any experience.